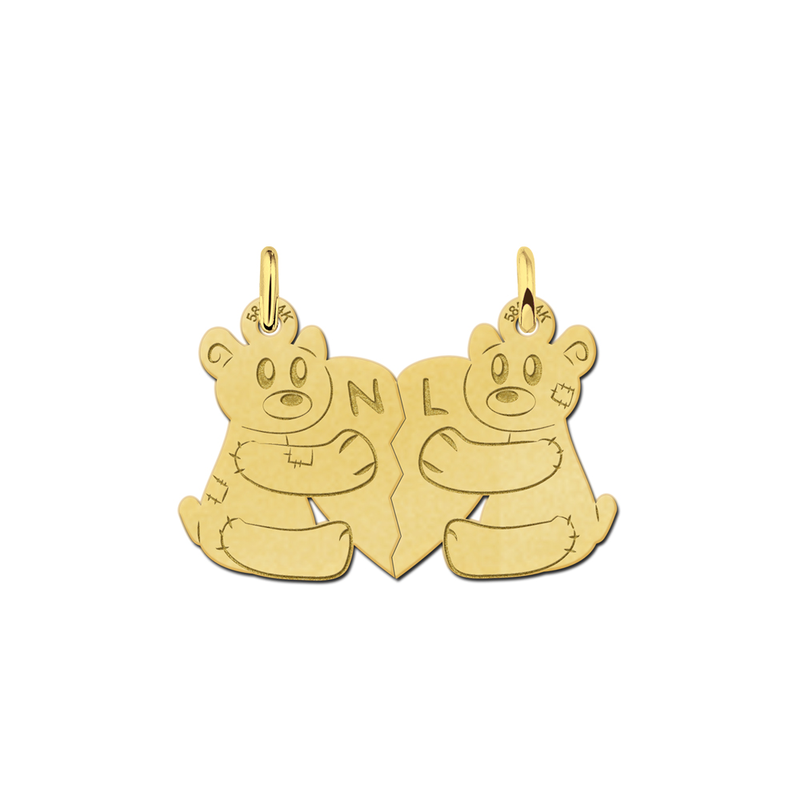 A gold best friend necklace is a special kind of interlocking necklace is created in two halves. Each of the halves of the gold friendship necklace is attached to a chain, which allows two people to wear the divided pendant at the same time. This unique kind of jewellery was first created several centuries ago and today it is worn by friends all around the world. A gold best friend necklace is often bought by best friends when they are children or teenagers and it is usually worn for several years as a way for the friends to show each other as well as other people that their friendship is strong and important. This type of jewellery is sometimes referred to as a gold bff necklace in modern times. Who Gives a Gold Best Friend Necklace? This type of gold best friend gift is often given by one best friend to the other. However, in some cases both of the friends may buy the gold best friend necklace together. Some sisters may decide to buy a gold best friend necklace if they are very close and want to show each other that they are friends as well as just siblings, while parents may decide to buy a gold best friend necklace for their two daughters. When Can a Gold Best Friend Necklace Be Given? A gold best friend necklace can be given to a friend at virtually any time in order to celebrate a special friendship. However, the gold best friend necklace is usually given on a special occasion such as the birthday of one of the friends. Friends may also choose to give each other a gold best friend necklace to celebrate the anniversary of their friendship. When one of the friends is moving home with their family or for another reason, a gold best friend necklace may also be given as a way to show that they friendship will remain strong even if the friends do not see each other too often. 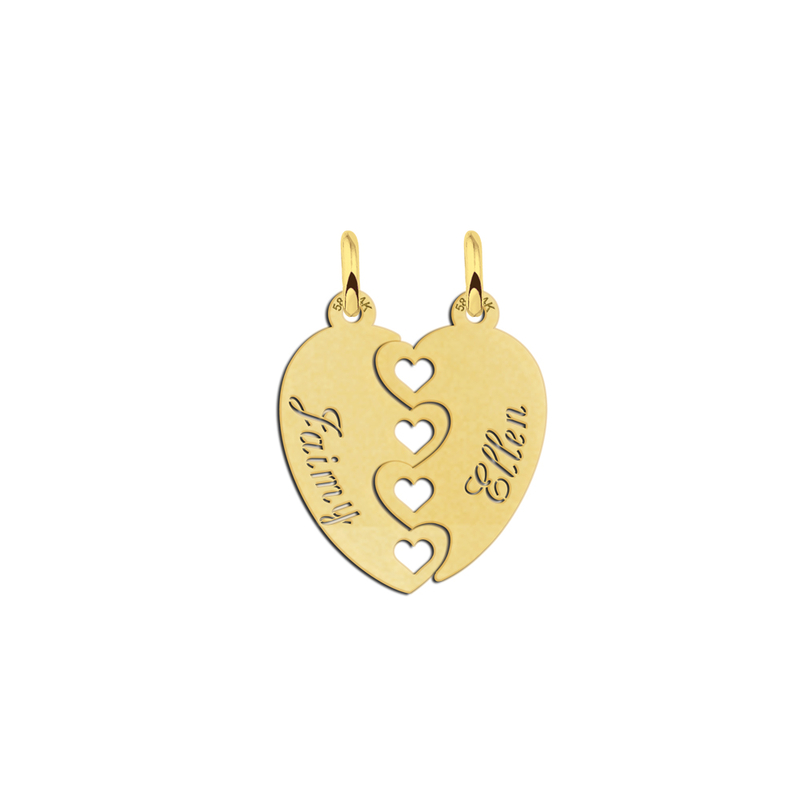 A gold best friend heart necklace is one of the most popular gold best friend necklace designs and features a heart that is divided into two halves. Each friend wears one half of the heart around their neck. Gold best friend necklaces for 2 also come in a range of other styles such as the Yin Yan, which is a traditional Chinese symbol where two halves of a circle interconnect to show the way in which type different people connect to form a whole. Other popular kinds of gold best friend necklace include a star that is divided into two halves, the initials of the two friends who wear the gold friendship necklace and a four leaf clover. Some friends also choose to wear a silver best friend necklace, which can be created in any of these popular styles. The gold best friend necklace features colourful gems, particularly the birthstones of the two friends. 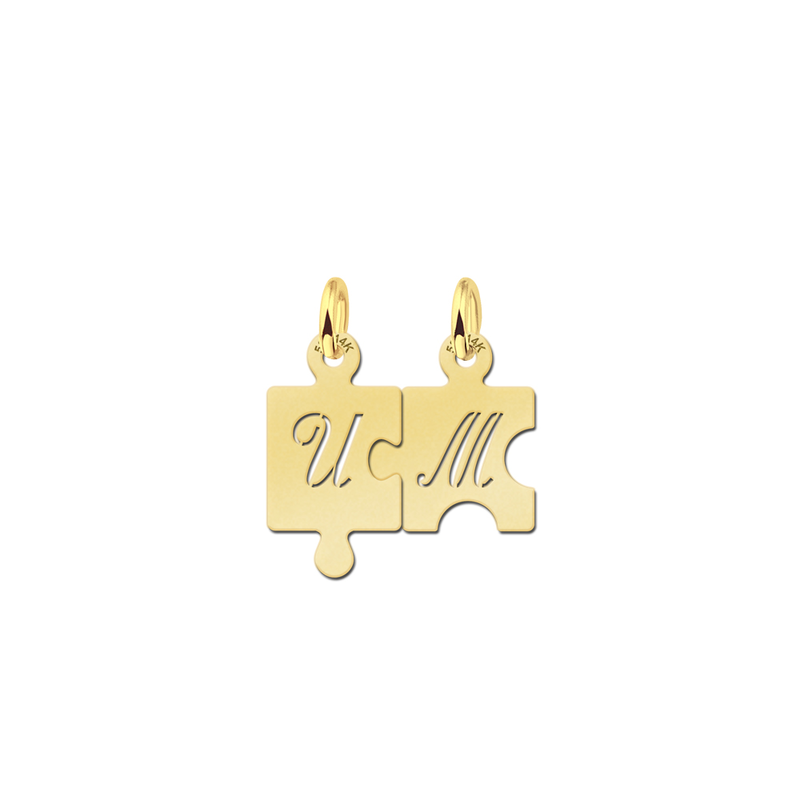 This will make the gold best friend necklace truly unique and as well as something that will always be treasured. 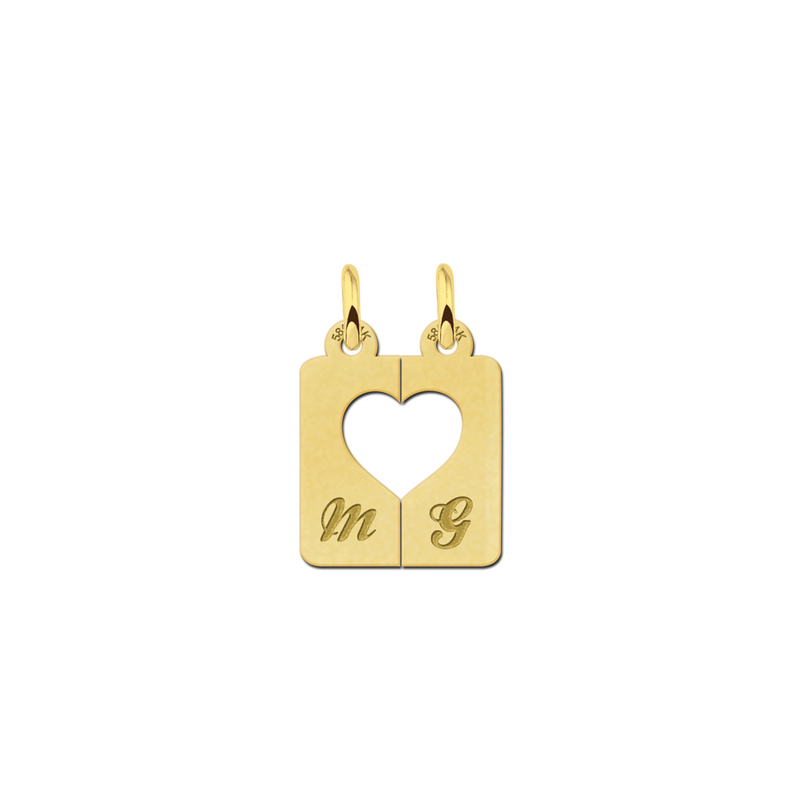 Friends can also choose to have their gold best friend necklace engraved with the names of the two friends as well as the date when they met for the very first time. 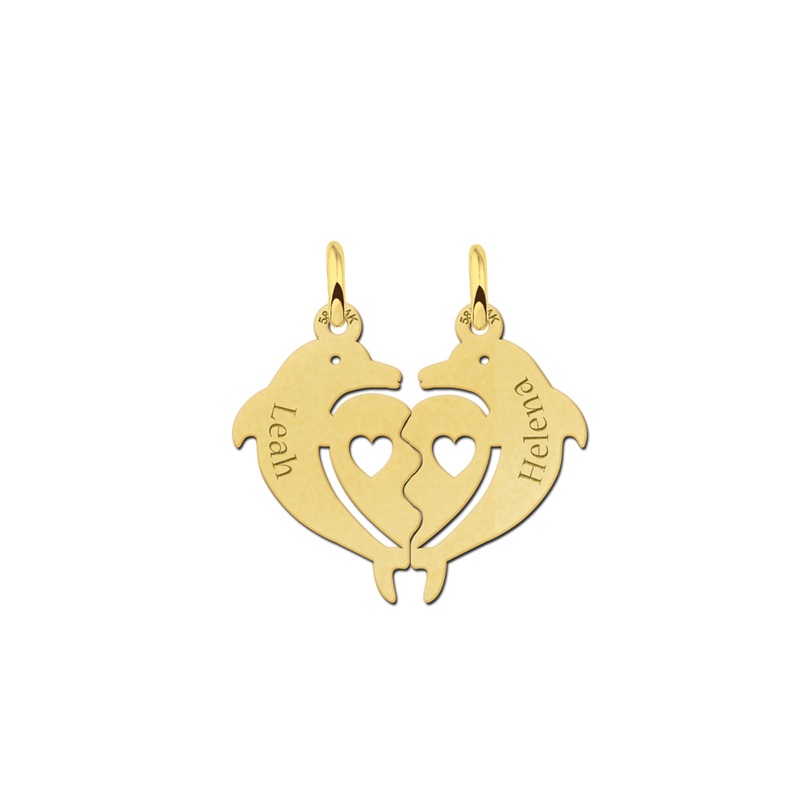 Giving your best friend and gold best friend necklace is the perfect way to show them how much they mean to you. Although these necklaces are commonly worn by girls and women, boys and men can also wear a gold bff necklace and this trend has become increasingly popular in recent years.